Today, the Institute of Race Relations publishes a report that shows serious deficiencies in the criminal justice system’s response to race-related killings. 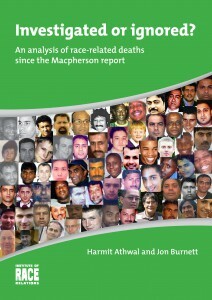 Since the publication of the Macpherson report in 1999, into the racist murder of Stephen Lawrence, at least ninety-three people have lost their lives as a result of racially motivated attacks (or attacks with a known or suspected racial element) in the UK, according to research by the IRR. The criminal justice system’s response to these deaths is analysed in a new report: Investigated or ignored? An analysis of race-related deaths since the Macpherson report. There have at least been ninety-three deaths with a known or suspected racial element since February 1999. Of these, 97 per cent of the victims were from BME communities (including those from Gypsy or Traveller communities and European migrant workers). In 84 per cent of cases there was a conviction of some kind – though not necessarily for murder or manslaughter. In only a quarter of the cases was the allegation of racism accepted and prosecuted as such; with racial motivation factored into the sentencing of the perpetrator(s). If the relevant authorities, including the police, had on occasion intervened earlier when persistent harassment and low-level abuse was being reported by victims, some deaths could have been prevented. Where there are convictions, the racially motivated aspect of cases is being filtered out by the police, the CPS and the judiciary, through a failure to understand the broader context within which racist attacks are carried out, an unwillingness to recognise racial motivation and the reclassifying of racist attacks as disputes, robberies or other forms of hostility. The over-strict interpretation of the legal definition of racial motivation may inhibit the charging of perpetrators by removing the racial basis of a crime from the court room. Families still have to resort to challenging the decisions of the police, mobilising the media, exerting pressure to ensure the recognition of racial harassment and, ultimately, challenging the criminal justice system. Notes to editors:  Investigated or ignored? 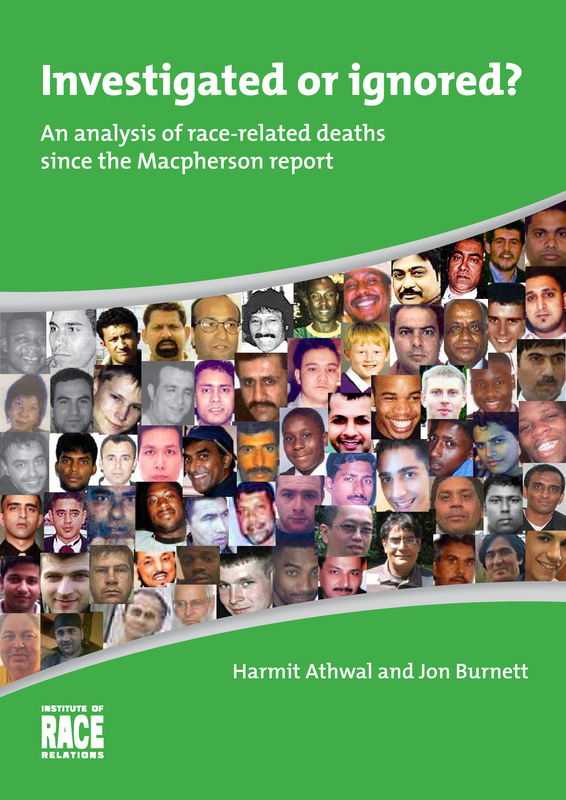 An analysis of race-related deaths since the Macpherson report, by Harmit Athwal and Jon Burnett, can be downloaded here. Dr Jon Burnett can be contacted on 020 7837 0041 or at: jon@irr.org.uk.